…Hardly out of my comfort zone I realise….a fashion photography exhibition at the museum…it felt they had bought it over from London’s V & A especially for me. 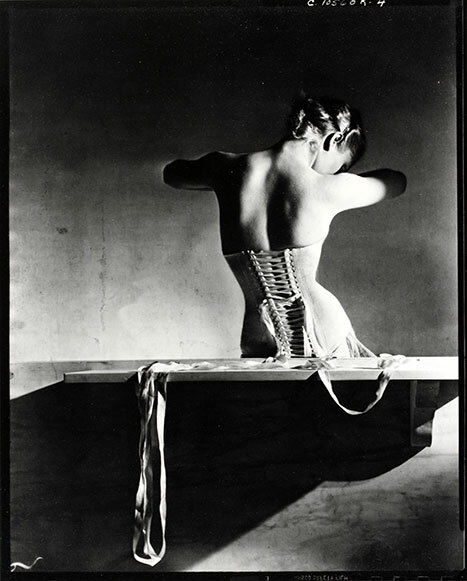 I particularly liked Horst and surrealist Man Ray. 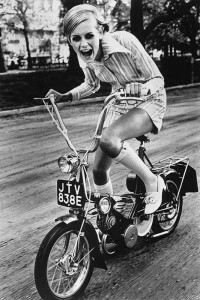 Fabulous shot of my first girl crush Twiggy in the 60′s. I was obsessed with her and the fabulous images of her when I was a preschooler – I wonder if subliminally this had an influence when years later I found myself in countless fashion photography shoots. Great couple of shots from Tim Walker my current fave fashion photographer who used to be a stylist – so his shots are always Ben Hur productions. One thing we have done since our kids were small is drag them to galleries. It was easier with the daughter, soon off to Art School, but proving a little harder with the 13 year old boy. Our rule of for thumb is – you can’t go to the gallery cafe until you have gone around this exhibition yourself and chosen your top three and reported back with a reason you like them. He and his mate raced around in record time and came back with “We like the photo with the gas mask….because gas masks are cool”. Good, it’s a start. ← Golf – who knew?